A teacher accused by 14 students of innappropriate touching and other behavior at the end of last school year returned to the classroom this year after a stern reprimand – then another student complained about his behavior. After San Dieguito High School Academy math teacher Donn Boyd was reprimanded last May for inappropriate behavior with students, he finished out the school year and returned to the classroom for a new year in the fall, school district officials confirmed for the first time this week. Boyd wasn’t at the Encinitas campus long before attracting another student complaint for excessive touching, newly disclosed San Dieguito Union High School District documents show. Boyd has been on paid leave since Oct. 31. By December, he was notified student complaints and related district investigation records and correspondence would be released to Voice of San Diego under a California Public Records Act request filed in late November. In January, Boyd reached a deal with the district to remain on paid leave and resign on June 30, ending his 24-year career in the district. His teaching credential is still valid, and he has no public record of discipline from the California Commission on Teacher Credentialing, according to the commission’s website. District documents show 14 students complained to school officials about Boyd in May 2017. Several said he touched them, hugged them or massaged their shoulders, making them uncomfortable. One said he kissed her on the forehead. Other students said they witnessed him touch other students, or reported he made suggestive remarks and requests of female students. Boyd declined to be interviewed last month, but in a letter to the district he initially shot down all the allegations as pure fiction made up by students with an axe to grind. In a subsequent letter to the district in December, he acknowledged some touching occurred, but said students misinterpreted his intentions. District officials now say he returned to the classroom from Aug. 29 through Oct. 31, when a new student submitted a complaint. The district provided that complaint this week. Boyd did not respond to emails this week seeking an interview about the October complaint, which was left out of the records initially produced by the district. 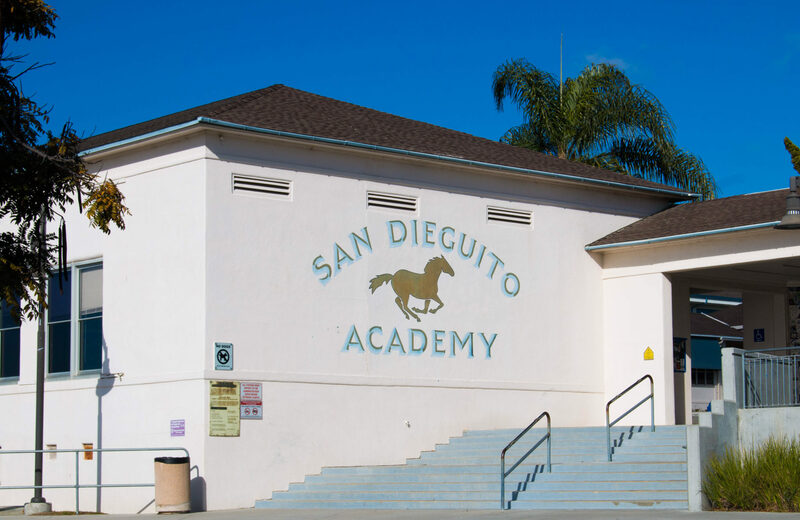 Douglas and San Dieguito Superintendent Eric Dill did not answer emails asking why the latest complaint was only produced this week. Voice of San Diego’s public records request submitted in late November sought records spanning the last 10 years. Boyd asked the district to interview a third-party witness in the classroom “to confirm the inaccuracy of this student’s alleging that I touched her ‘almost daily,’ including any hugs.” He also said he’s never treated any student unfairly.